Combines the skills of soccer and golf! Forms a totally fun and exciting new game! 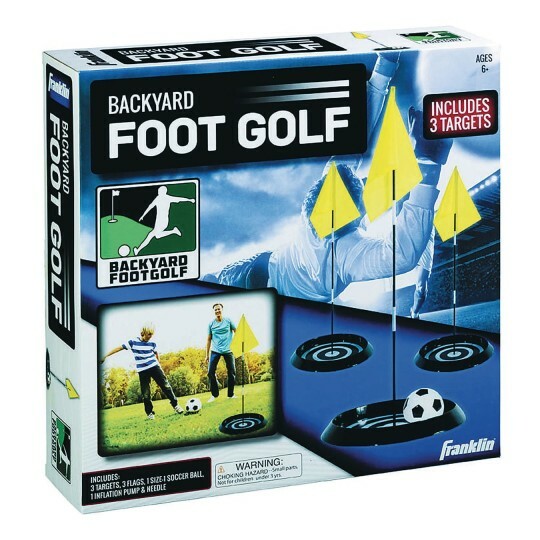 Combines the skills of soccer and golf together to form a totally fun and exciting new game! 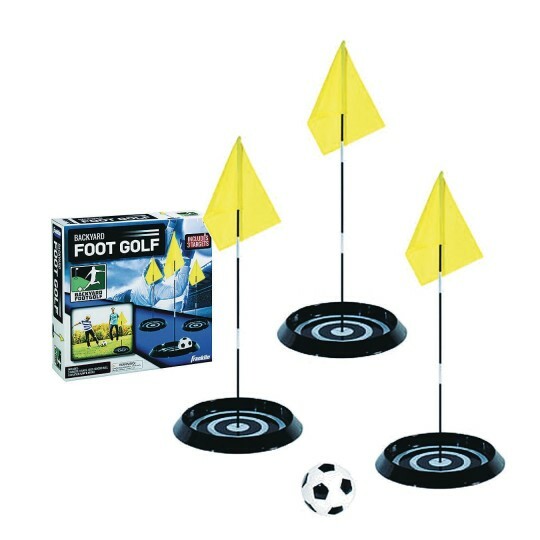 This set includes 3 molded plastic 16” diameter target holes with 12” diameter catch cups and flag poles, 1 - 5-1/2” diameter mini soccer ball, and 1 mini inflation pump with needle. For a multi player game, we recommend buying either our set of 5” playground balls (W11663) or a few of our Spectrum™ size 2 soccer balls (W8786004).